Medical tourism in Barcelona is booming and it’s easy to see why. 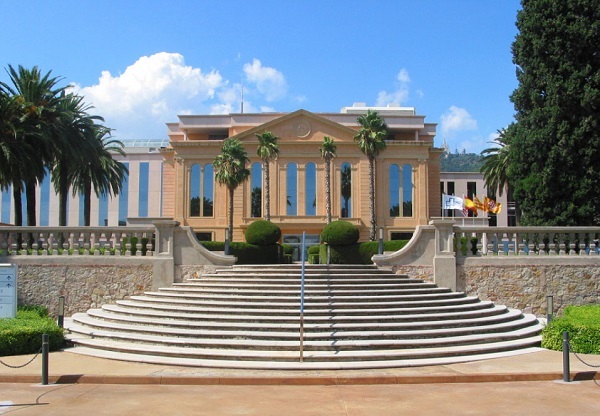 Catalonia is particularly well equipped with internationally renowned clinics and hospitals, along with being a pioneer in several medical and scientific fields. This includes excelling in technology relating to cancer treatments, heart and circulation diagnosis and bone diagnosis and treatment. It’s not just locals who benefit from these fantastic services though, as more than 20,000 foreigners per year come to Barcelona for medical attention, with a complete range of public and private healthcare options available. If this is something that interests you, look no further than our guide to find out which hospital or medical centre would be best suited to your needs. Probably one of Barcelona’s best known hospitals, Hospital Clínic is the main provider for public healthcare within the region. It has a wide range of services, that include almost all medical and surgical procedures, and as such also works as a tertiary level hospital – meaning patients from all over Spain, and even Europe, are referred there for medical procedures. In particular Hospital Clínic specialises in liver and kidney transplants, with over 20% of all of Spain’s transplants happening there. As well as this, it is well-known for being a pioneer in the treatment of tropical diseases, with the department having run for over 30 years and now having been designated as the national referral unit for tropical diseases in Spain. 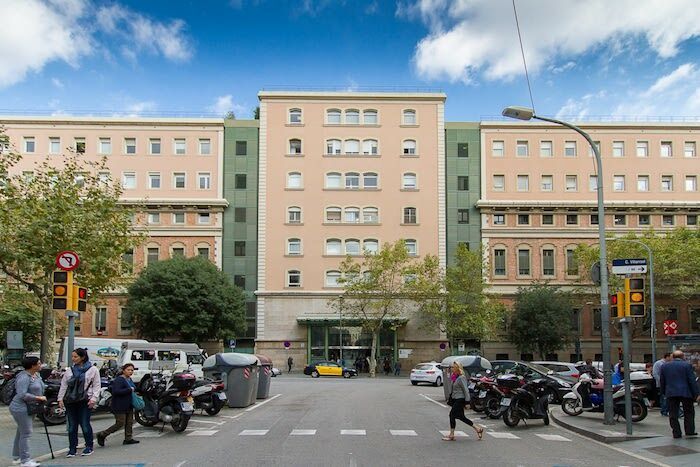 Hospital Clínic also partners with other hospitals around the city, such as Sant Joan de Déu Hospital, one of the leading paediatric centres in Europe. In fact, Sant Joan de Déu Hospital is particularly helpful for medical tourism as it has a department that specifically arranges care for international patients. Clínica Barraquer is one of the world’s most renowned eye hospitals. 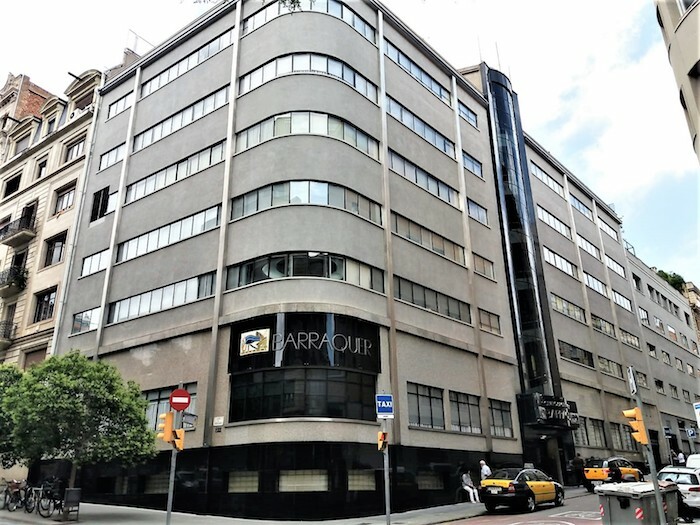 Open by the Barraquer family in 1941, the centre is well known throughout the ophthalmology world as a point of reference for corneal transplants. As well as this, Clínica Barraquer was the first centre in Spain to implement revolutionary eye chips for artificial sight, as well as holding the first eye bank in Europe. With all of these credentials you can be sure you’ll be in good and experienced hands for any sort of eye problems here. 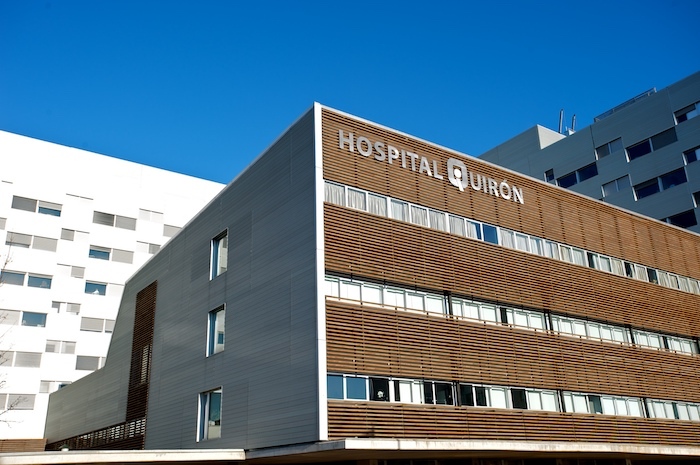 One of the leading private healthcare providers in Southern Europe, Hospital Quirónsalud continually aims to improve the lives of its patients. With a vast variety of procedures, Hospital Quirónsalud uses the most cutting-edge technology available, as well as priding themselves on the high quality of their doctors and comfort of their whole experience. Along with this, they cater towards medical tourists with their accessibility for foreign visitors. 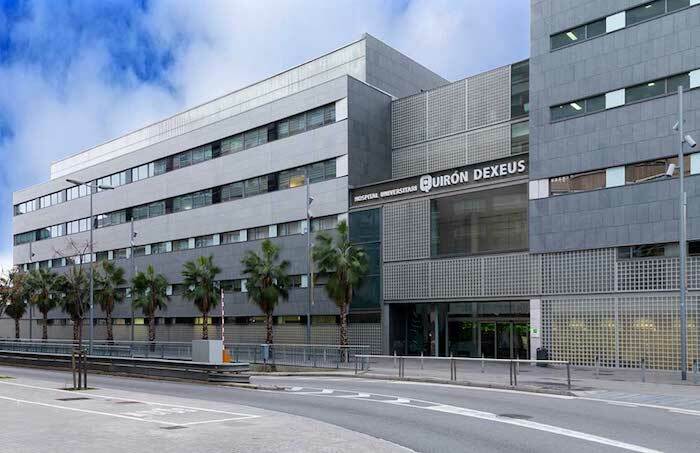 Dexeus Hospital is one of the largest clinics specialising in women’s health in Spain. This clinic is particularly great for those suffering with fertility issues or who are at danger of a risky childbirth, with the clinic having a long history of delivering at-risk babies. Not only this, but Spain’s liberal laws can make this a great place to come for single mothers, or lesbian couples, who will get full access to medical care that they might not be able to find in their home countries. Cancer treatment is just one of the things that Centro Médico Teknon specialises in, particularly for those with blood cancers such as leukemia. This department includes figures like Professor Emili Montserrat who is one of the leading experts in his field backed up by various scientific awards and his work on the World Health Organisation panel. Along with this, Centro Médico Teknon, covers multiple other specialities and is one of the leading private hospitals within Spain thanks to its use of the latest technology and excellent medical staff. The facility places high importance on comfort, and as a testament to this is often frequented by patients from the world of sports, entertainment and politics – from Spain and abroad. With over 50 years of experience, Policlínica Barcelona offers a wide variety of procedures to focus on cosmetic and health needs. These can include anything from invasive procedure like plastic surgery and gastric bypasses to non-invasive dermatological and filler-based ones. As well as this, you can be assured that all pre and post-operative tests, or anything else you need, will be performed at the clinic to avoid having to move to other centres. 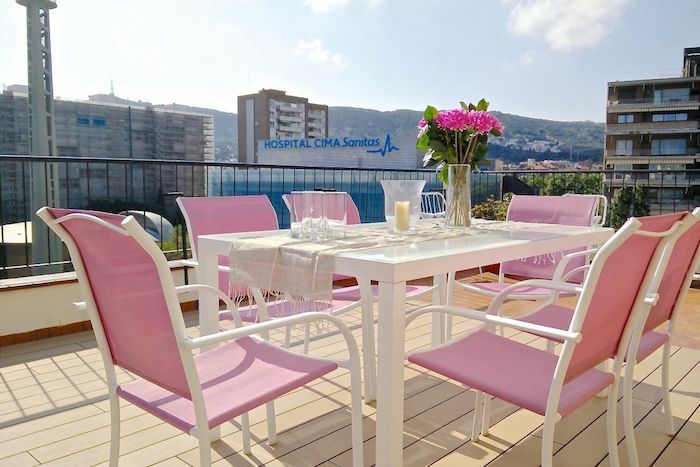 Close to Clinica Dexeus, this luxury apartment is filled with flowers and bright colours to keep you in an optimistic and peaceful mood post-surgery. Its great location allows the sun to pour in through the windows, so that you can fill up on Vitamin D and fresh air, helping to ensure your wellbeing. 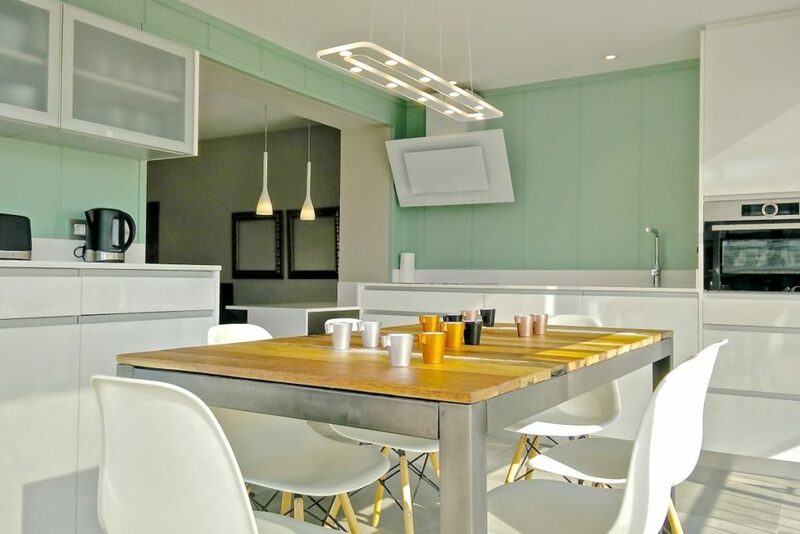 Located close to Centro Médico Teknon, and Clínica Barraquer, this luxury apartment in Pedralbes area exudes pure and healing energies, and comes with a fully equipped open kitchen to help you nourish your body back to health – the perfect apartment for your stay in Barcelona. 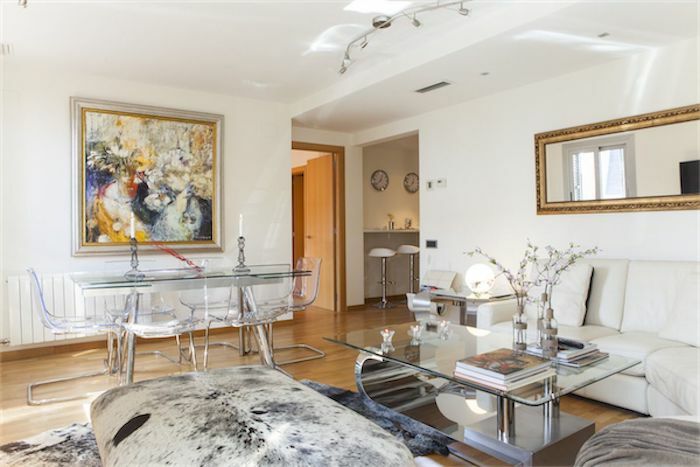 This luxury apartment on Passeig de Gràcia has beautiful oil paintings and candles, which create a therapeutic atmosphere – perfect for your recuperation process. Dandi is perfect you. 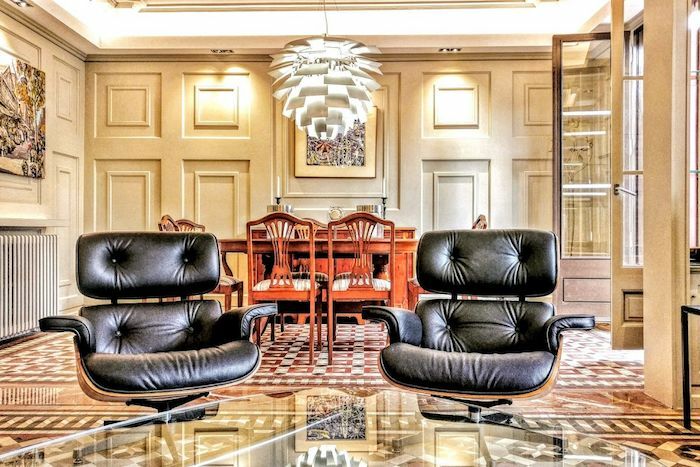 The unique buildings that surround this charismatic apartment include La Pedrera and La Casa Batlló. d) everything being brand new. Everyone knows that a tranquil resting environment is key to a smooth and speedy recovery, so to find that perfect place for your medical tourism stay in Barcelona, check out our full list of offering on Bizflats.com. Getting your hair cut can sometimes be challenging, especially when you’re in a foreign country and don’t know where the best place to go is. 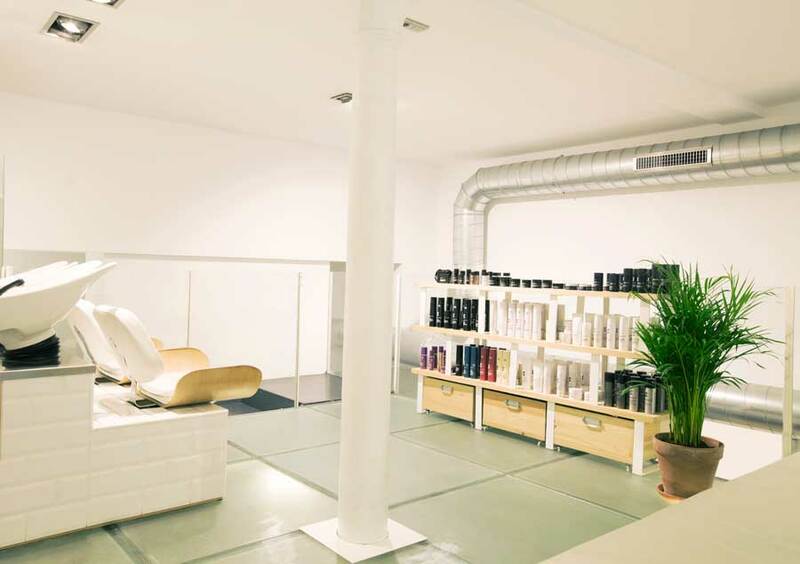 However, in Barcelona you can find plenty of options to suit all your different hair needs. And due to it being a multicultural city, it’s easy to find hairdressers who speak your native tongue. More than that, due to Barcelona’s eclectic nature, it’s possible to find a variety of fashion forward options. 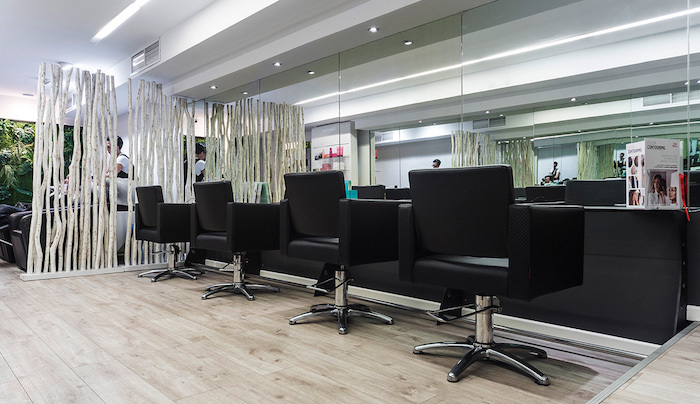 Check out our favourite salons below. With the slogan ‘Don’t let your Spanish come between you and your hair’ and their international team of hairdressers who speak over 11 languages, this is the perfect option for the international crowd. Anthony Llobet founded this chain of salons 17 years ago and as the ambassador for the well-known TRESemme brand in Spain, you can be sure he has the experience to back it up. 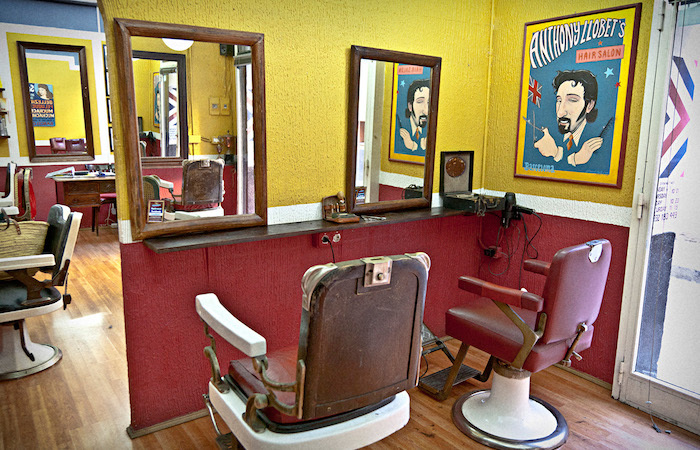 His passion is reflected in the thought he puts into his hair dressing spaces, adding and finding vintage style accessories for a truly unique experience. Not only that, but their six locations dotted around Barcelona mean it’s easily accessible for everyone. 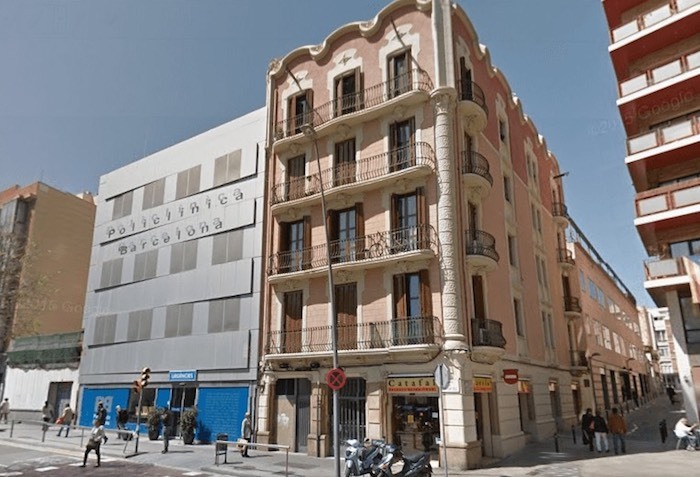 Locations: Eixample: Roger de Llúria, 9. Raval: Ronda de Sant Antoni, 60. Gràcia: Ros de Olano, 19. El Born: Carders, 24. Gòtic: Avinyó, 34. Barceloneta: Almirall Churruca, 8. If you’re looking for something a little more edgy, why not try Pódame? Having been on the scene since 2010, this hair dressing salon revels in being different and seeing haircuts and styles as a form of artistic expression. 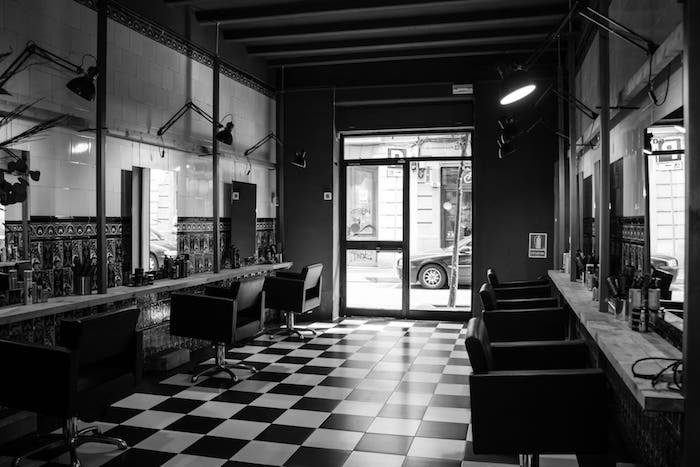 The hairdressers at Pódame aim to reflect the rhythm and energy of the Barcelona streets in ever cut they make, accepting all ages and styles at their salon.This might be the place for you if you’re looking for a bold new colour or want to try something new and completely unexpected. Sometimes just getting a haircut isn’t enough to revamp your whole look and that’s exactly what founder of TheRoom Jose Lucker believes. Instead of just stopping at a new hair style, Jose has developed a more holistic approach, to combine his passion for fashion and hair styling. This led to his three-story concept store in the Gothic Quarter of Barcelona, with each story representing events, clothes and hair respectively. With TheRoom you can expect to come out with the latest looks, both on you head and on your body. If you want a truly indulgent experience, head to 5 1a Salon de Belleza to treat yourself to a luxury haircut. 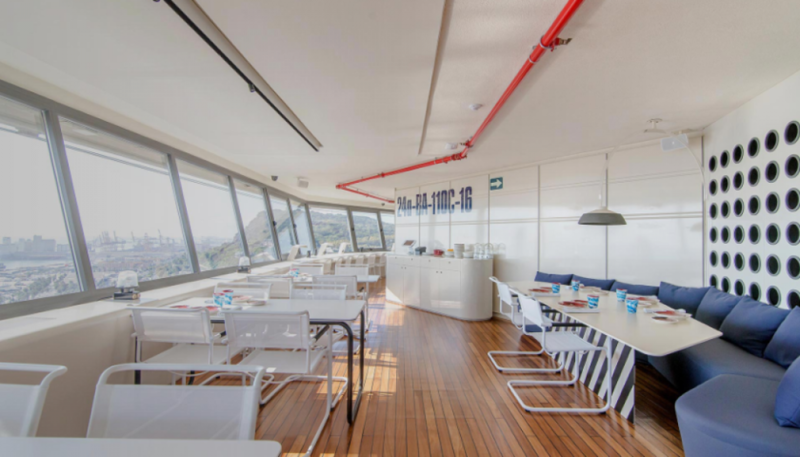 Housed in a 5th floor penthouse with a terrace, you’ll get a bird’s eye view of Barcelona centre, while you relax in the natural light and tranquil setting surrounded by vibey music, knowing you are in the professional hands of the team at 5 1a Salón de Belleza. For an extra treat, head there for your on Friday afternoon or Saturday morning when they open up their cocktail bar, and sip on a “Blondie Mary” with a view, while you get your own blonde put in. Hair smoothing and straightening treatments, like Keratin smoothing, the Brazilian blow-dry and Japanese straightening, are becoming increasingly popular, and for good reason. If you’re someone who struggles to get your hair under control, especially in the humid Barcelona summers, one of these options could be the ideal solution. At Le Petit Salon they have a full catalogue of these treatments, with hairdressers specialised in each practice, meaning there is something for everyone here. This also includes the option to get hair extensions put in, as well as other beauty treatments, including eyebrow and eyelash maintenance, body hair removal and massage and facial treatments. So, whatever kind of hair treatment you are looking for – whether you need someone who will understand your language, if you’re looking for a specific type of hair treatment, or if you simply want to get your hair done in luxury surroundings, you can find the perfect option in Barcelona. 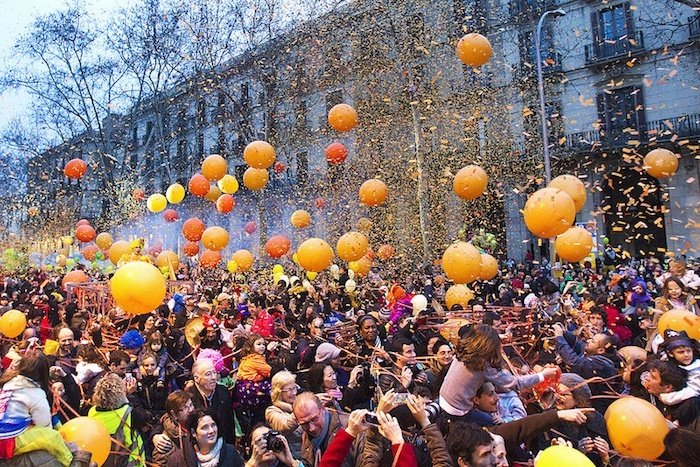 Carnival is a great time to be in Barcelona, with loads of fun events happening, there’s plenty to see. This year, Barcelona Carnival will happen between February 27 and March 6, with events happening throughout the city and also in cities like Sitges, very close from Barcelona and with a spectactular carnival with several parades. 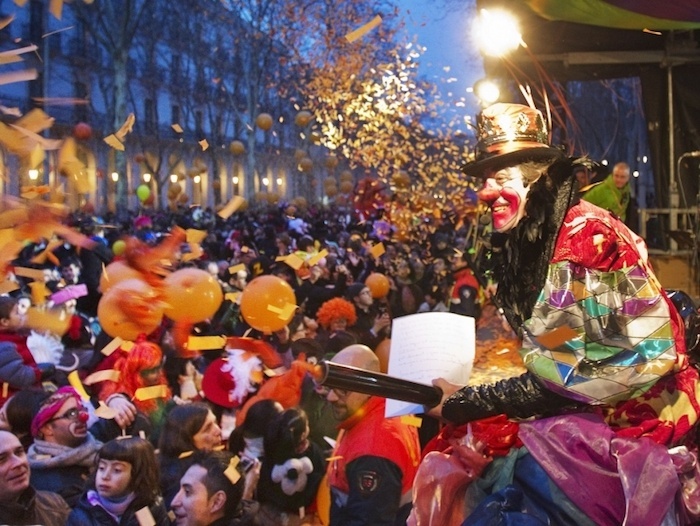 Origin of the carnaval: Why we celebrate it? Carnival is held seven weeks after the first full moon past the Winter solsitce, traditionally ending the same day as Ash Wednesday, 40 days before Easter. As such, carnival is thought to be the last party before the start of Lent, a period in which people are meant to abstain from vices, such as alcohol. A festival with Roman origins, the holiday was first documented as having been celebrated in 1333. Little by Little the party began to take shape as we know it today, with costumes becoming commonplace by the 19th Century. This will happen on February 28 and is when the Carnival King will arrive at La Rambla, in front of the Arts Santa Mònica museum. The Carnival King arrives to inaugurate the crazy carnival week. Jumping, dancing and singing, the parade will arrive at the Palau de la Virreina, the Carnival’s Republic. Parades will start to take place on March 2, when throughout the city there will be over 30 different parades, ending with the main parade through the old town. Here you will see people dressed in colourful and traditional costumes for Barcelona Carnival, music and dancing filling the streets. If you want to check out all the details of Barcelona Carnival Parades, you can find the full program by district here. 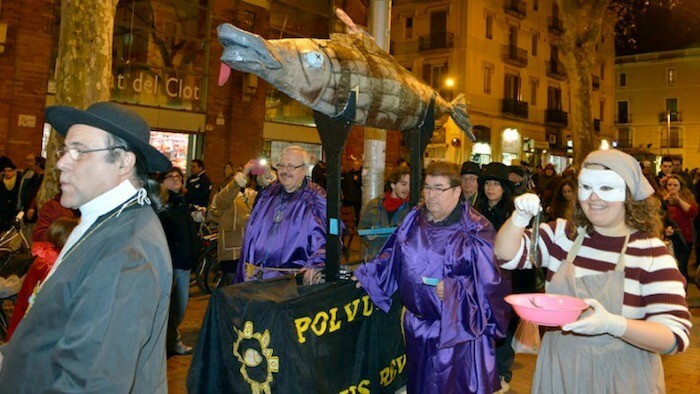 This takes place on the last day of Barcelona Carnival, which this year will be March 6. This marks the end of the carnival period and is a symbolic burial of the past to allow society to be reborn and transformed over the period of Lent. If you want to make the most of Barcelona Carnival, you can also head to Sitges, just a short train ride away from Barcelona. Here a large and extravagant carnival is hosted, and residents dress up in mourning to signify the end of carnival. The Sitges Carnival is famous throughout Catalonia for being a great party. Check the program here. The culinary tradition of tapas is well-known worldwide, and nowhere will you find a more exciting and varied selection of it than in Barcelona. 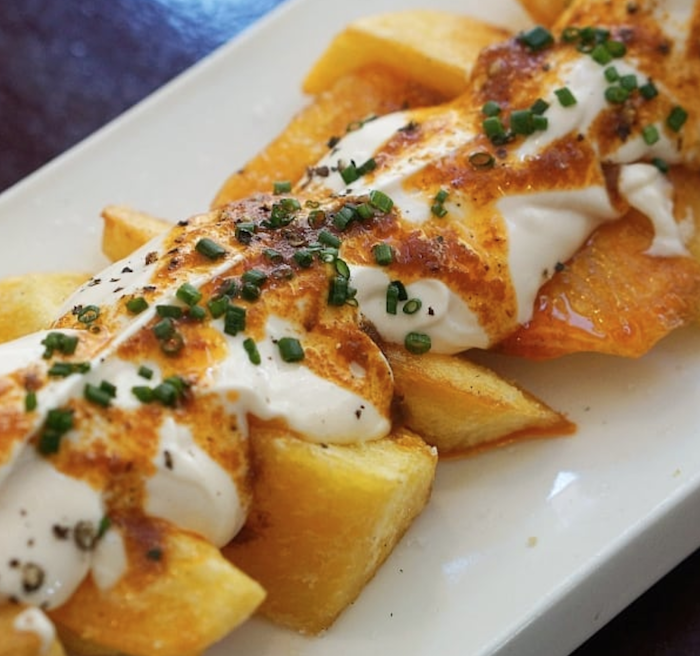 From the traditional Catalan tapas plates like “pa amb tomàquet” and “escalivada”, to classic staples like “patatas bravas”, and exciting modernized fusion plates, going out for tapas in Barcelona has something for every occasion. When wandering through Barcelona, it’s easy to be tempted by the mouth-watering smells that float from every street corner, but to be sure you’re going to the best tapas restaurants in Barcelona, follow our guide below. As the sister restaurant to the well-known Pla restaurant, Bar del Pla gives you all the taste but in a more casual and laid-back setting. With a menu that changes continuously to reflect the season, Bar del Pla use fresh components to make tapas plates that vary from both traditional to experimental. This is also a great place for wine lovers, as they house a huge selection of natural and organic wines, as well as local beers. Tables here can be hard to come by, so if you want a guaranteed seating at one of the best tapas bars in Barcelona, it’s best to book. Many tourists make the trip out to Poble Sec to explore the mountain of Montjuic but fail to discover what lies in the streets below. 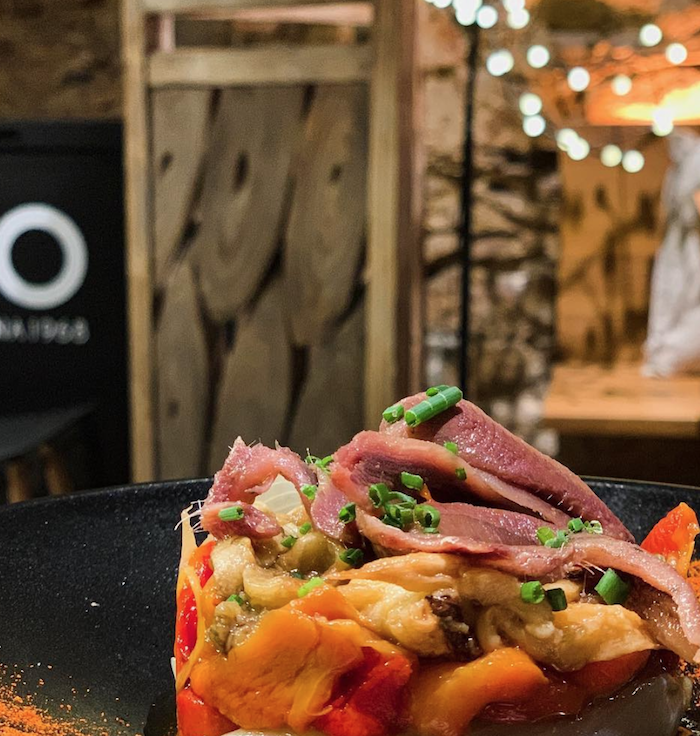 Wander over to Carrer Blai and you will find a street full of some of the best tapas bars in Barcelona that serve mouth-watering bites called “pintxos”. Originating from northern Spain, “pintxos” can be almost anything as long as they’re on a stick. The unique experience involves going up to the counter and selecting anything that takes your fancy. At the end of the meal your sticks are tallied up for your final price. With each “pintxo” coming in at between €1 and €1.85 this can be a great value option. Blai Tonight is one of the more famous “pintxo” restaurants on the street and it’s obvious to see why when you get there. 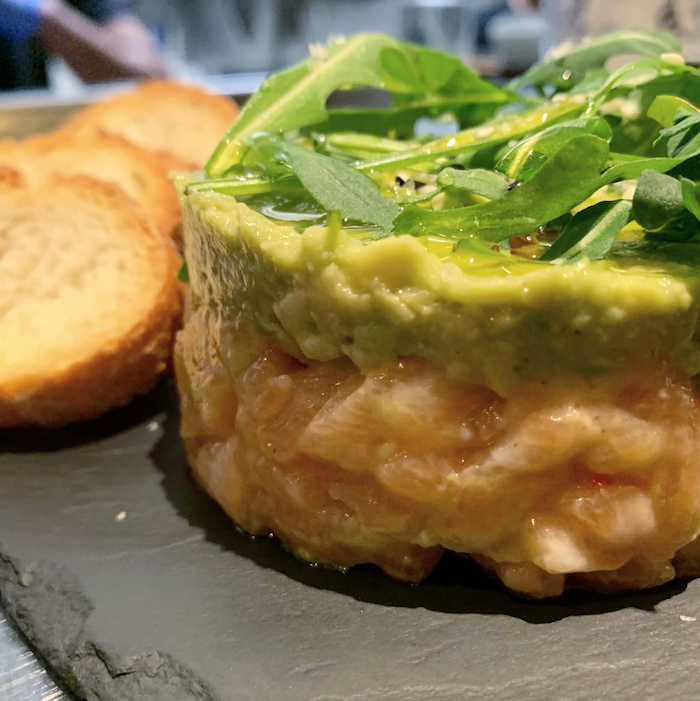 Slices of bread with indulgent halves of avocado and smoked salmon await, along with a selection of other fish and meat bites. La Tasqueta del Blai is similarly delicious and with a slightly larger variation of options and unique combinations. Try and get to Blai in the early evening so you can grab an outdoor terrace table and people watch as you wash down your “pintxos” with traditional Basque cider. 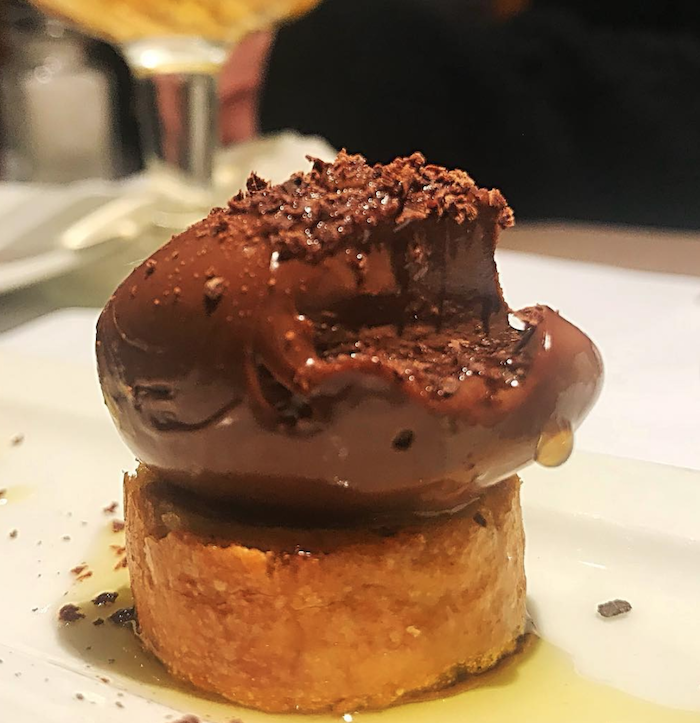 If you know anything about the culinary scene in Barcelona, you almost certainly will have heard of Tickets as the best tapas restaurant in Barcelona. 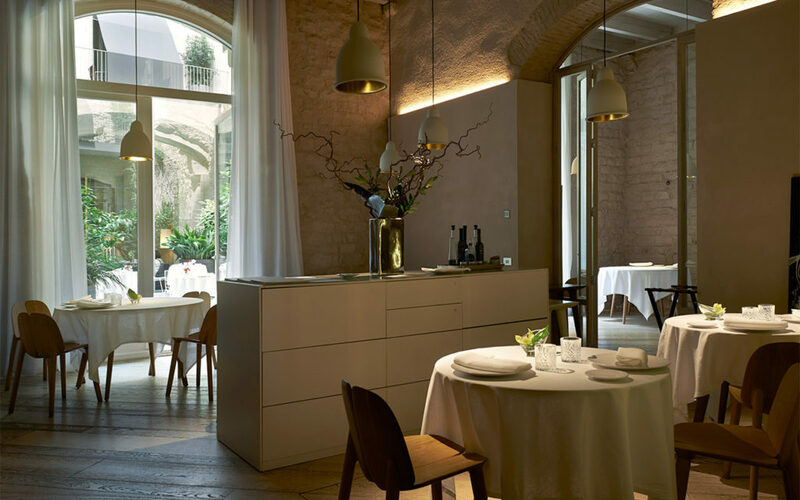 Headed up by the famed Catalan chef Albert Adrià, this Michelin star restaurant focuses on a sense of fun as much as the exquisite quality of the food. After being seated in the weird yet wonderful surroundings, you will be presented with a stream of intriguing and experimental tapas plates until you request the waiter to stop. However, getting a table at this famed restaurant is notoriously hard. Bookings open every day for the day three months ahead and often get booked out in minutes – it is, however, possible to try for cancellations on the day of if you’re lucky. When you’re thinking about where to eat in Barcelona, Barceloneta isn’t always the first place that comes to mind. However, Cal Papi is an excellent choice of tapas restaurant for those looking for something authentic near the beachside. 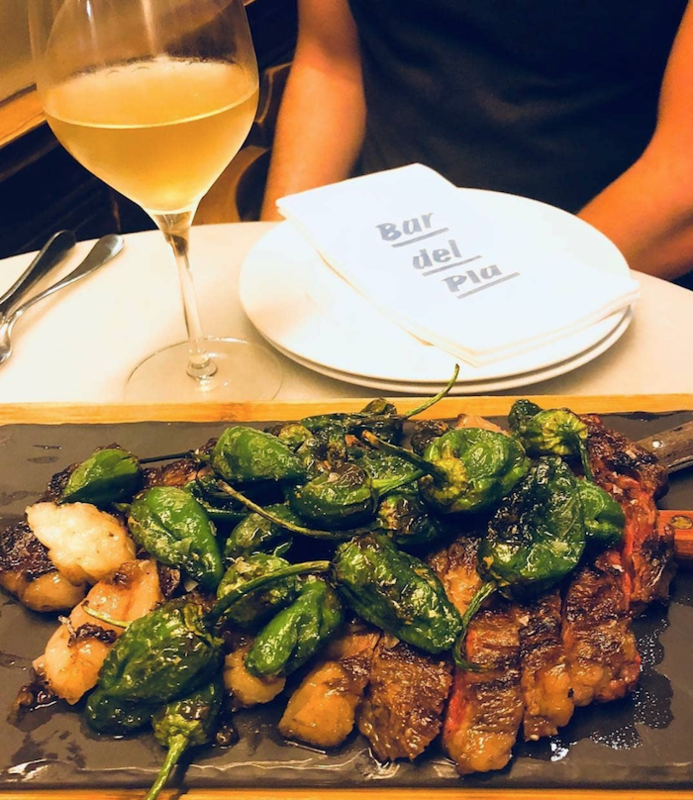 As opposed to some of the other more experimental restaurants on this list, Cal Papi focuses on serving traditional tapas classics, and does it well. 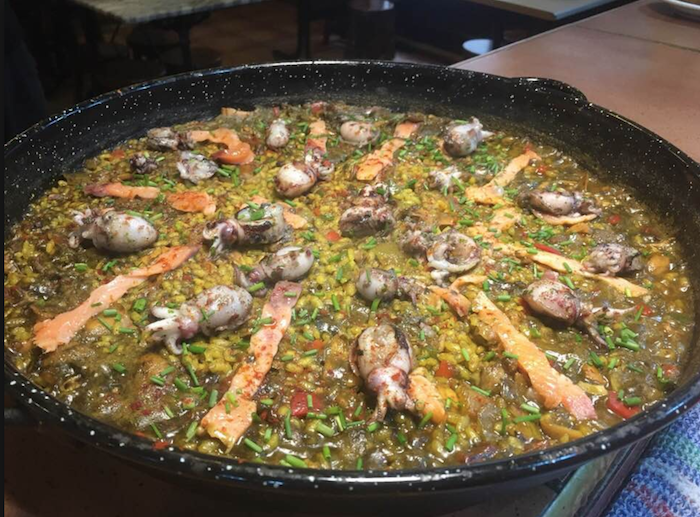 Its proximity to the beach means it’s a great place to try out some fresh sea food, especially in the form of fideuà​, a traditional Catalan style paella, that makes great use of noodles instead of rice. The low-level lighting and eclectic but beautiful setting of Elsa y Fred make it the perfect location for romance, or for a meal with a group of old friends. 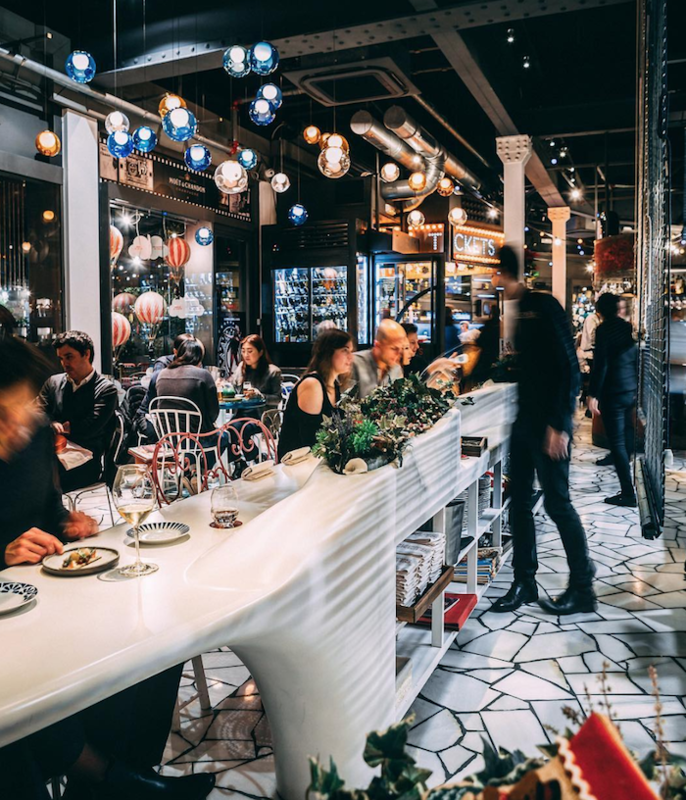 The ambient surrounding is compounded by the stunning taste of the food with a menu that changes seasonally, but often includes the likes of tuna tartar and grilled octopus. And that’s not to mention their “patatas bravas” which are thought by some to be amongst the best in the city. Located in the heart of Gràcia, La Bicicleta offers up tasty and inexpensive tapas in a casual and laid-back environment. This is the perfect spot for when you are wondering through this trendy neighbourhood and looking for a bite of cheap and tasty food to fill your stomach. With friendly service and a good atmosphere, this Barcelona tapas restaurant is also the perfect location for your Sunday afternoon “Vermouth” and “bravas” pit stop. 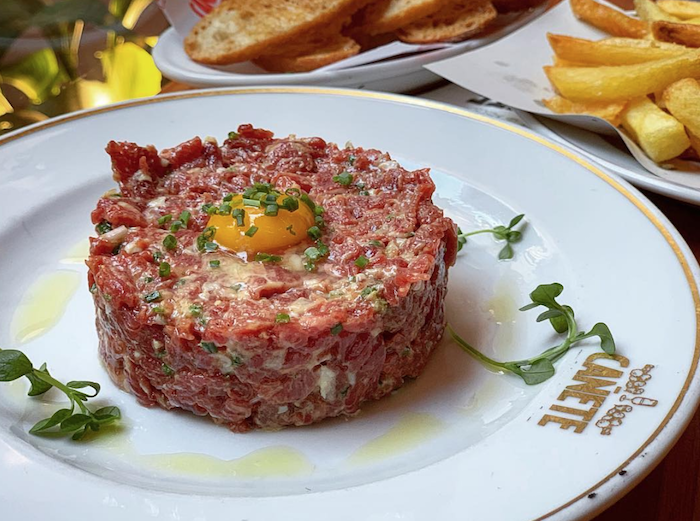 In the heart of Barcelona’s vibrant Raval district you will find Bar Cañete, one of the city’s better known tapas bars. 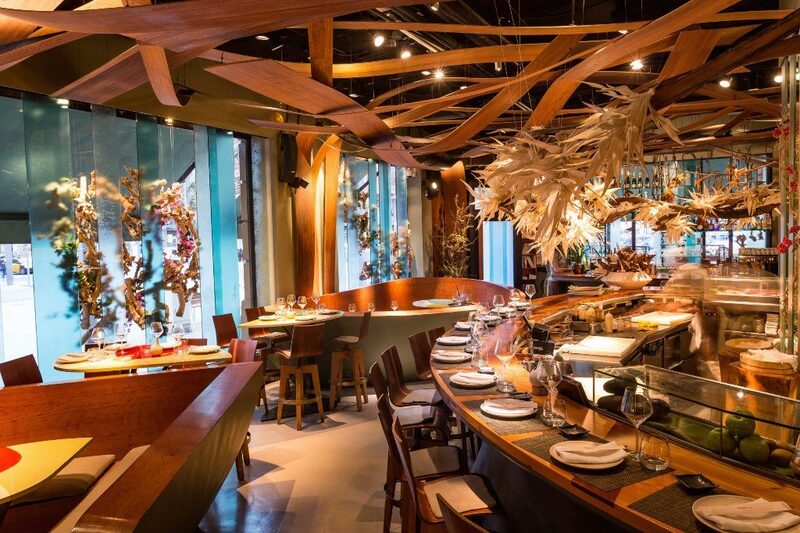 For an authentic Barcelona tapas experience, head to the “Barra” section of the restaurant. Instead of being seated at a table, like in the “Mantel” portion, you will stand at the bar or if you’re lucky get a stool from which to consume your gourmet tapas. From this area diners can watch as the chefs create their food and the barmen hurry round with bottles of Catalan cava and trays of fresh seafood. 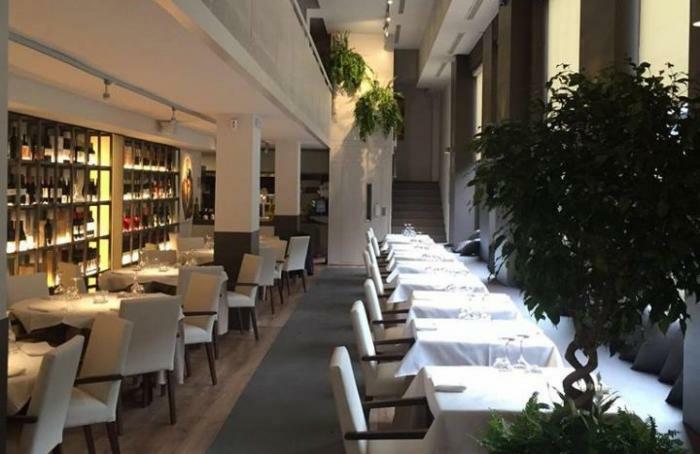 The newest addition to the Can Pijaume group of restaurants, founded in 1984 by chef Jose Gandoy, Marcelino1968 offers up some of the most sophisticated tapas in Barcelona. Placed in prime position within Gràcia’s Plaça del Sol, sit on the terrace to enjoy the squares lively atmosphere or inside to enjoy the wonderful ambiance of the restaurant itself. Whatever you do, make sure you order one of their opulent cocktails, exquisitely made by the expert bar tenders, to sip on as you enjoy your tapas at this Barcelona restaurant. Having been around for over 25 years, La Flauta is a mainstay on the Barcelona tapas scene. 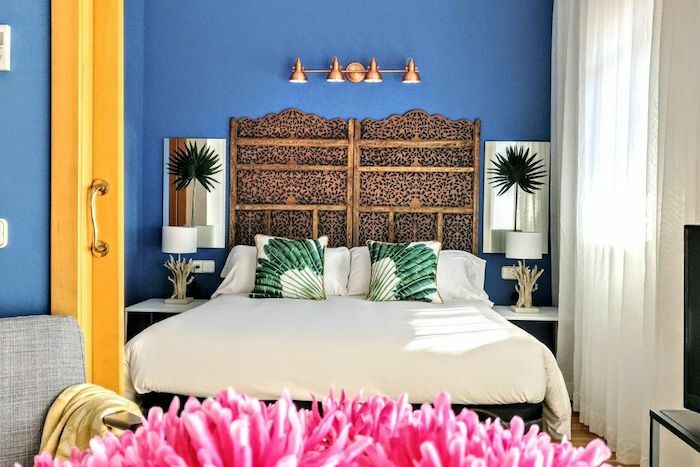 Popular with locals, La Flauta has a little something for everyone. 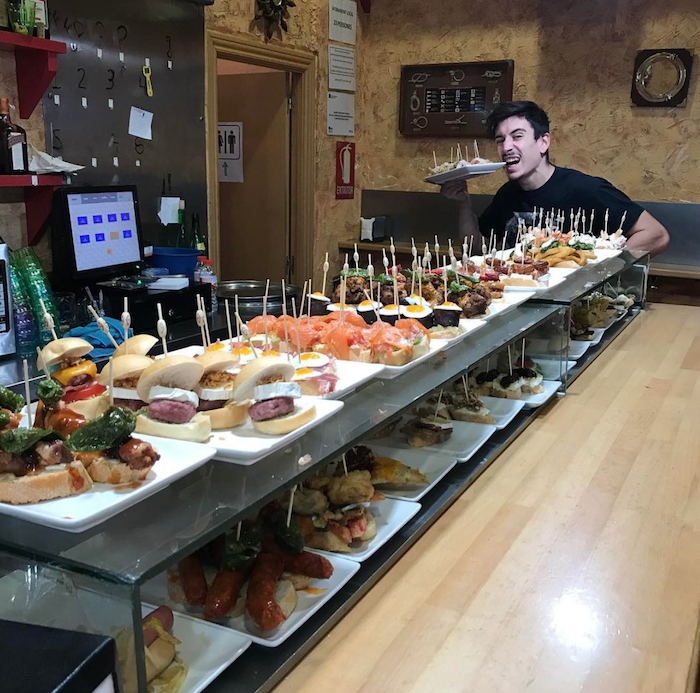 As well as being able to order traditional and delicious tapas, La Flauta lives up to its name by offering an elaborate selection of sandwiches, which are literally called “flautas”. Fillings for the sandwiches change throughout the year with market availability, so you can pop in any time to find a fresh new creation to fill your stomach. Make sure your trip to Barcelona is the best it can be by trying out our recommendations for the best tapas bars in Barcelona and you will see why it is rated as one of the best gastronomical cities in the world. Barcelona may be a bustling and modern city these days, often characterised by the amazing Art Nouveau architecture of the early 1900’s. 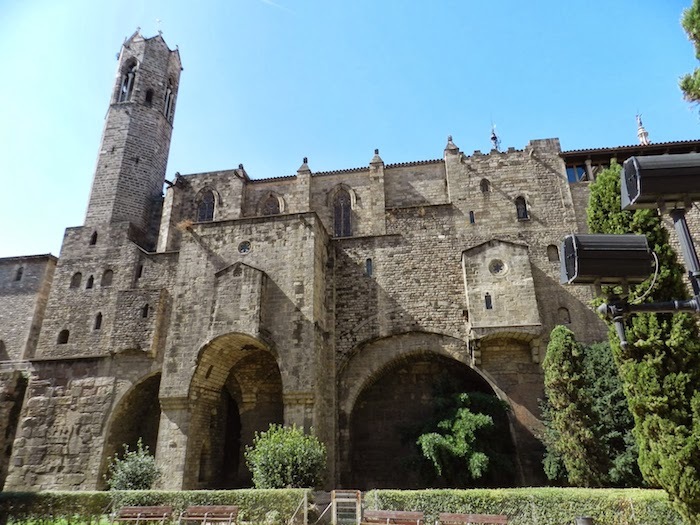 However, when you look a little deeper, Barcelona also has a rich ancient history; once you know where to look you will start discovering it throughout the ancient streets of the old town. 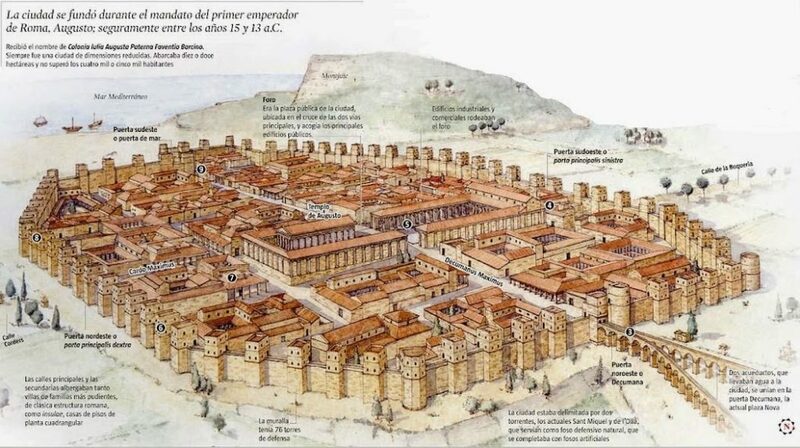 The city of Barcelona, called Barcino by the Romans, was founded by the Roman empire at the end of the 1st Century and began to grow from there. The colony had around 1000 inhabitants and was bound by a defensive wall. Below is a list of the eight Roman spots in the city that you can’t miss, for an amazing historical tour of this ancient city. Open since 1943, the Museu d’Història de Barcelona is a great and interactive way to explore the ancient Roman ruins of the city. Spread throughout the city, most of the major historical points of interest are part of this wondrous and free open-air museum. 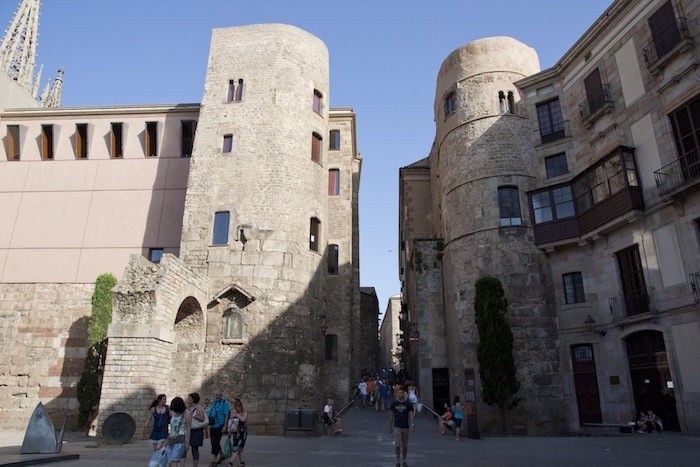 Below Plaça del Rei square, you will find 4000 m2 of archaeological remains, where you can walk along the ancient Roman streets. 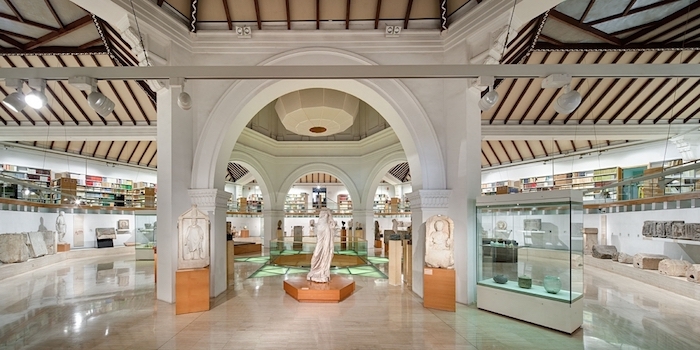 Here you also can expect to see intriguing objects found during archeological digs, such as ancient Roman busts and Roman inscribed ceramics, giving you a real taste of what life may have been like back then. 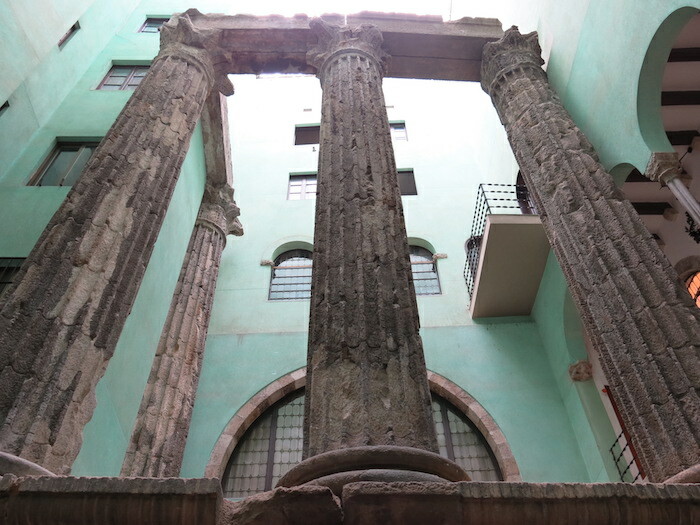 Inside a small medieval courtyard, you will be able to find the remains of what was once the Temple d’August; four upright pillars. This was the main temple of the Roman colony, and has been dated back to the 1st Century BC, as a place of worship for the Roman Empire. This building stood at the centre of the Forum and looked down on the city due to its placement on a small podium, at the top of what was formally a small hill known as Mons Taber. 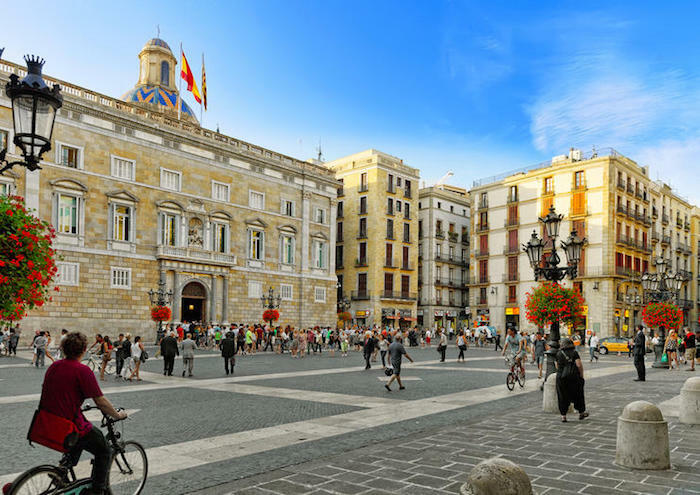 The centre of all activity, Placa de Sant Jaume used to be the Roman Forum, an arcaded square that was surrounded by the city’s main buildings. Forming a cross, the forum was the axis between two streets of importance, the “cardus maximus” and “decomanus maximus”. The square was also the site of a market, where goods from all over the Mediterranean were bought and sold. 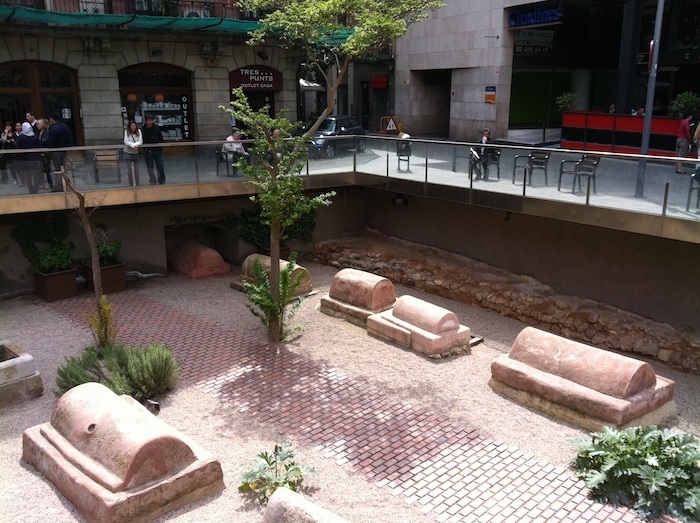 This is the former site of one of Barcelona’s gates and so can be a good look at the ancient remains of the historic Roman city wall and aqueduct. The two towers that can be seen here are clear signs of the way carriages and pedestrians entered in and out of the city. Whilst this site doesn’t showcase the original, it’s possible to see a modern replica of one of the city’s aqueducts, which can give you a good idea of how the city used to function. This spot also marked the start of one of the main Roman roads. Situated outside of the city’s walled precinct, here you will find 70 tombs from the city’s ancient necropolis, revealing just how Roman’s built their cemeteries. You can walk above these tombs, along Via Sepulcral Romana, to get the best view of these ancient relics. Here, among the epic background of the Gothic chapel, you will be able to find a section of ancient Roman wall, dating back to the early 4th century AD. Look closely and you will find that the wall was constructed of materials from other buildings, as a reinforcement for the original wall built in the 1st Century BC. 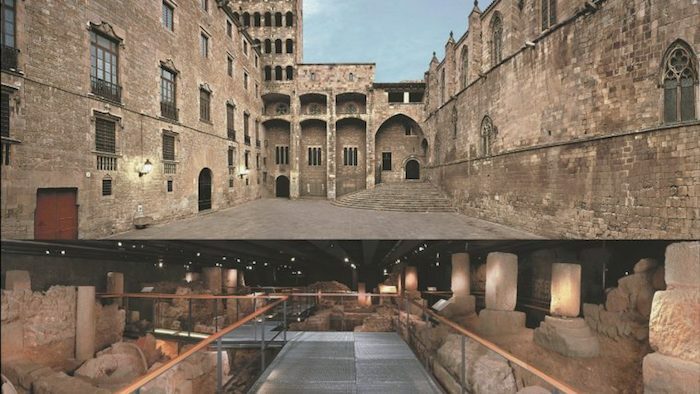 If you want a true exploration of the old Roman city of Barcino, head to the Museu d’Arqueologia de Catalunya where you will be able to find over a million original pieces that take you on a journey through the history of Barcelona, including the establishment of the Roman Empire. This includes collections of items from the Roman times. 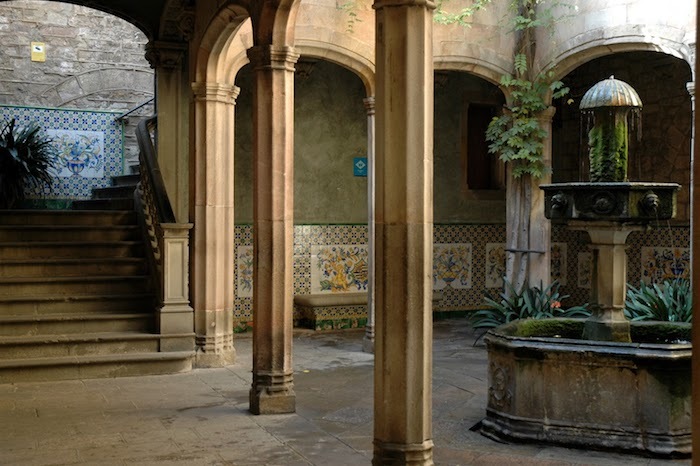 Once you start walking around Barcelona, you will be able to find these points and get lost in your exploration of the ancient history of the city. The beautiful backdrop and varied history of Barcelona make it the perfect setting and location for movies and tv series. From serious historical based dramas, to romantic love stories and even comedies, check out our favourite movies and tv series set in Barcelona to get a taste of the beautiful and vibrant city. 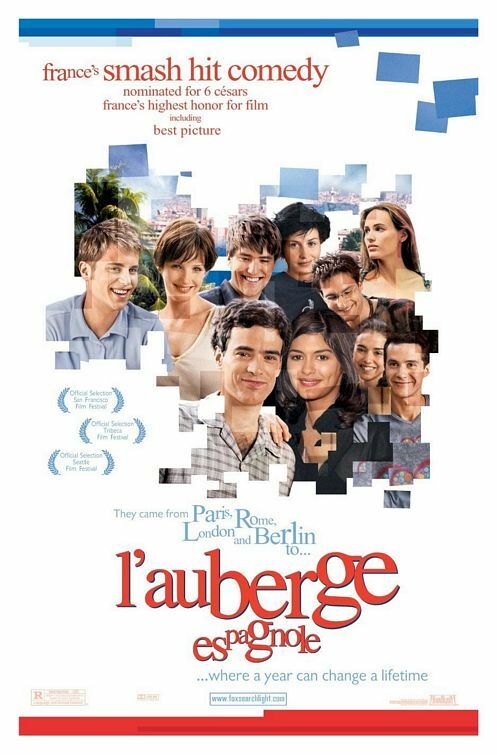 Barcelona is an ever-popular place for students doing their Erasmus, or year abroad studies, and L’auberge espagnole perfectly encapsulates that. 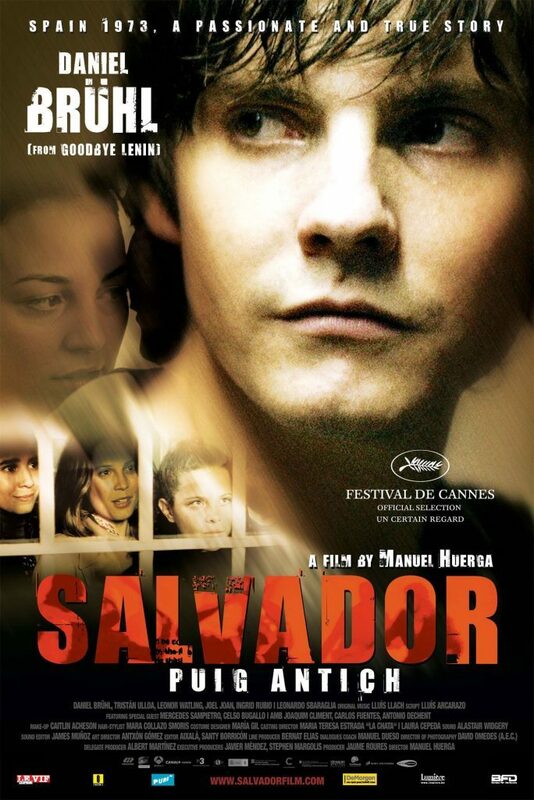 Based on a French student who finds himself in a house of eclectic international students whilst doing his year abroad in the often-diverse city of Barcelona, this film really highlights the hedonistic side of the city that can be enjoyed. Capturing the Barcelona from a certain period of time, this French-Spanish film is not one to be missed, especially for those who studied in Barcelona themselves as a trip down memory lane. Perhaps the most famous film set in Barcelona, featuring stars Scarlett Johansson, Penélope Cruz and Javier Bardem, Vicky Cristina Barcelona follows the journey of two Americans visiting Barcelona for the first time, where they meet and fall for some fiery Spanish characters. As much a love story about people, this film is a love story about Barcelona, showing off the very best of the city. Directed by Pedro Almodóvar, one of Spain’s most famous directors, Todo Sobre mi Madre, literally translates as all about my mother. This Academy Award winning film is able to explore deep and complex issues, such as AIDS, existentialism and transsexuality, through its cinematic prowess, and its setting in Barcelona is perhaps an ode to the city’s often progressive and liberal nature. A true story, based on the above named, gives the spectator an insight into the history of Barcelona, during the time of the Franco regime. This is the sad tale of a man who fought for the independence of Catalunya, through anarchist movements and depicts the time he spent on death row as a result. Salvador Puig Antich is still a symbol of independence and a household name in Catalunya, as one of Franco’s last victims. 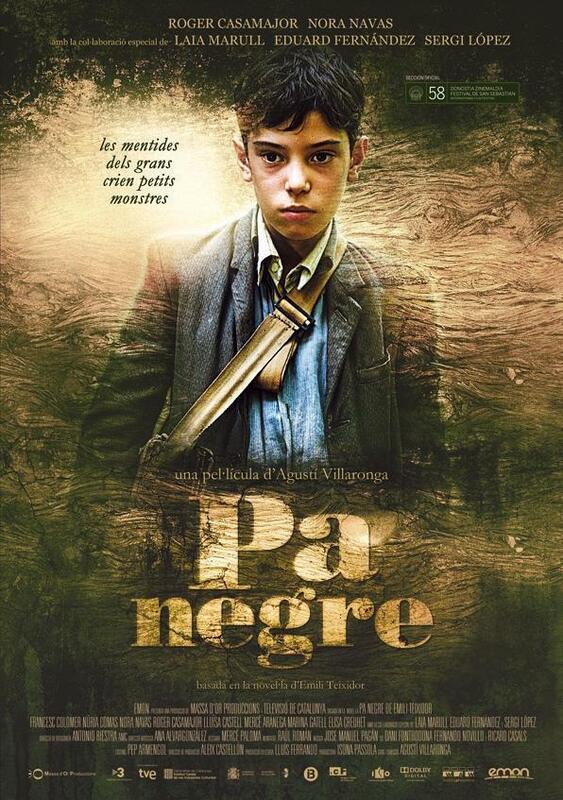 Another sad film depicting life in Catalunya in the times of Franco, Pa Negre, meaning black bread, is the story of a young boy who lives in the Catalan country-side in the harsh post-war times. An emotional tale, that explores the intricacies of human nature, as well as the history of Catalunya and Spain, this is a must watch for those for those interested in politics and history. For anyone who was into Disney as a child this movie might ring a bell. A talented teen quartet, led up by Raven-Symoné, move to Barcelona to follow their dreams of pop superstardom. A light film featuring musical numbers and suitable for children, Cheetah Girls 2 highlights some of Barcelona’s most famous sites as they explore all the city has to offer. 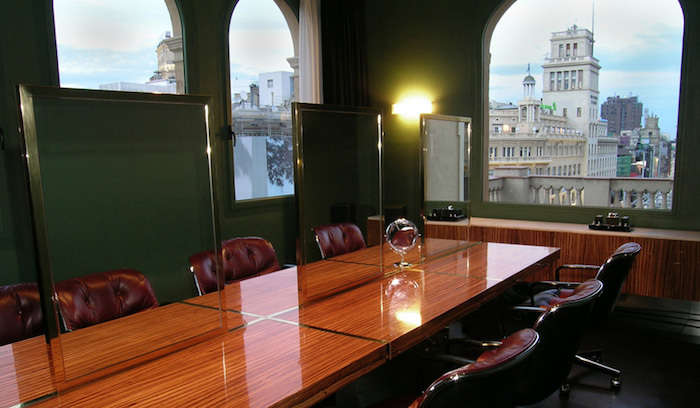 In fact, as the cast and crew were looking for some luxurious accommodation to stay in during filming, they chose to stay in some of bizFlats finest apartments, as the best base to relax and have access to the city. 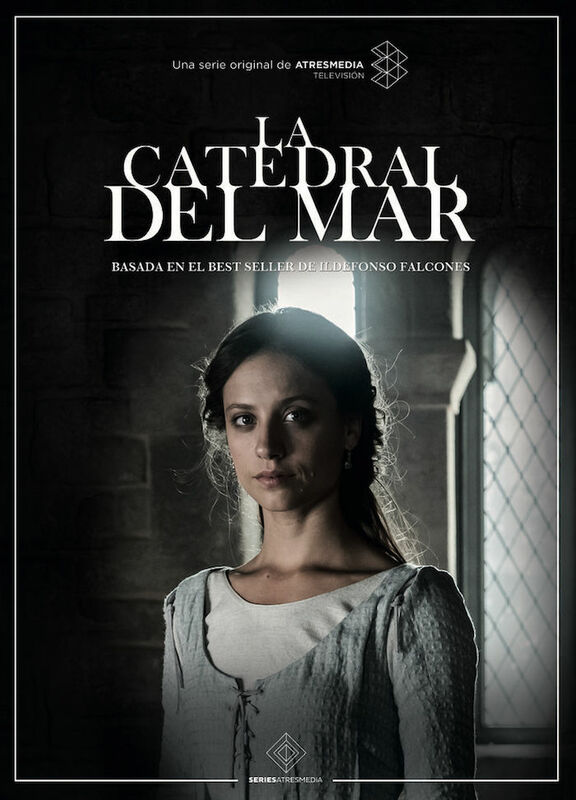 For those interested in ancient history, La Catedral del Mar (Cathedral of the Sea) takes the viewer back to medieval Barcelona, and is the tale of the construction of Santa Maria del Mar, which still stands. Set in Barcelona, the series follows the life of Arnau Estanyol, the son of a fugitive serf and one of the cathedral’s stone workers. 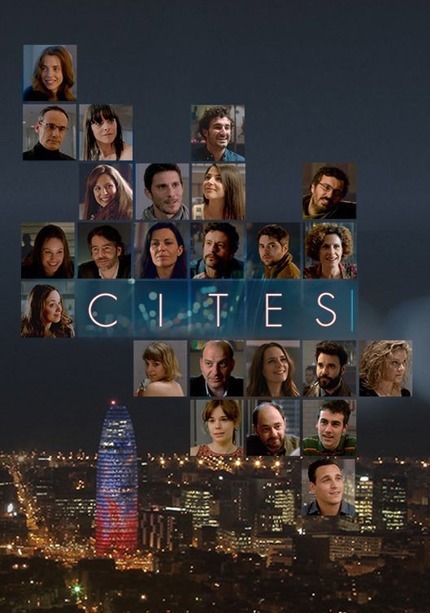 A light comedy-drama, Cites (an adaptation of the UK series Dates) shows what contemporary life in the city of Barcelona is like for young adults, searching for love and companionship. Following the experiences of 24 different strangers who met on the internet and then meet face-to-face, Cites cleverly intertwines the lives of these strangers to create a compelling drama focusing on the ups and downs of human relationships and the struggle of looking for love in the modern age.The characters visit a great selection of venues such as parks, restaurants and bars which any visitor can find in the city. 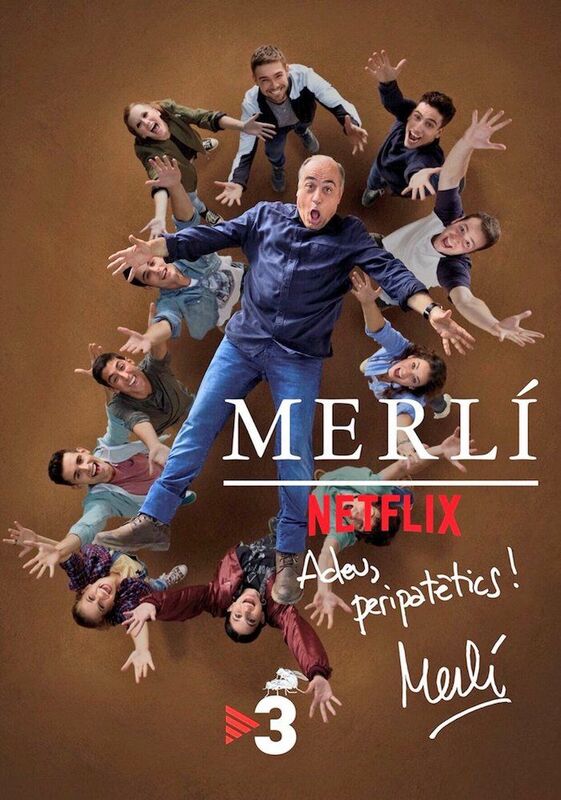 A good one if you want to practice your Catalan (although don’t worry, it is also possible to find with subtitles), Merlí has seen international success, with the possibility to even find it on Netflix. Set in a high-school in Barcelona, each episode is themed after a famous philosopher or school of thought, with the series bringing philosophy to the public in an interesting and accessible way. So next time you’re looking for something to watch, why not try out one of these great movies or tv series. It might even help you get inspiration for your next trip to the wonderful city of Barcelona. Enjoy their tasty tapas and Catalan fare, or even enjoy one of their tasting menus to get the full foodie experience. Always packed and with an international vibe, you can’t go wrong at 9 Nine. 9 Nine will be closed on December 24, open on December 25, 26 and 31, and January 1 and 6. Due to its popularity, book in advance for any of these Christmas days. While Japan and Brazil are miles apart, Ikibana expertly blends both renowned cuisines together to make delicious fusion meals. Think fresh sea food and the best cuts of meat, Ikibana is one of the trendiest places to be. If you’re looking for where to eat in Barcelona on New Year’s Eve, this is the perfect option, as they are hosting a luxurious gala dinner, with tickets starting at €180 a head, where you can truly ring the New Year in in style. They also will have special christmas menu for the 25th and 26 of December. If you want to make the most of the late winter Mediterranean sun, why not head over to Mamarosa Beach, with the perfect seaside location. Here you can sit indoors or outdoors to soak up the atmosphere of Barceloneta beach. If you’re looking for where to eat in Barcelona on New Year’s Eve and want something sophisticated, this is an ideal option as it has a special New Year’s Eve menu for just €145 a head, including all the fresh sea food you could want. Mamarosa is open every day of December. Another one for the seafood fans, El Barceloneta is where to eat in Barcelona if you want a more laid back al fresco experience by the sea. With its large terrace, rooms especially for groups and its group menus, it’s perfect for big groups of friends or for celebrations where all the family can get together for Christmas. 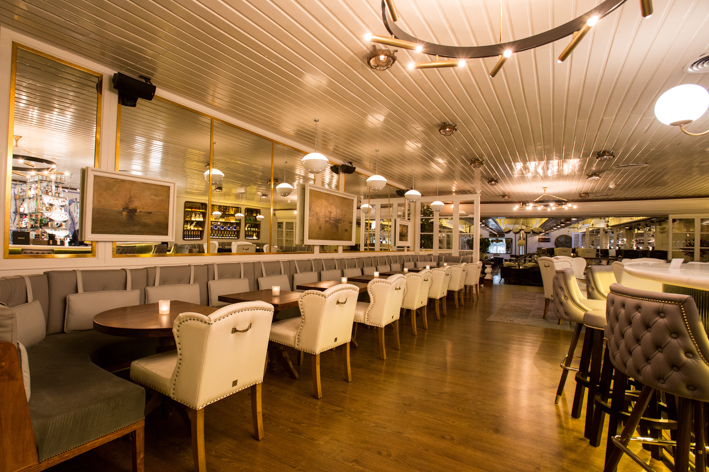 If you are looking for somewhere a bit different for your company dinner or celebrations with your group of friends, Patrón offers a full and lively evening with live music, cocktails and the possibility of having a private room. As well as this, they offer a special set menu from €58 per person over all the important Christmas dates, as well as special New Year’s Eve menu and party. Open every day of the year. The Mercer has a Trip Advisor certificate of excellence, owing to its wonderful food. Original frescoes of the 12th century serve as a backdrop and their cuisine is dedicated to local products, offering typical traditional Catalan dishes with a careful presentation and a wide selection of wines. For January 1, Mercer will be closed but you can book at their Gastro Bar Le Bouchon, for lunch or dinner. 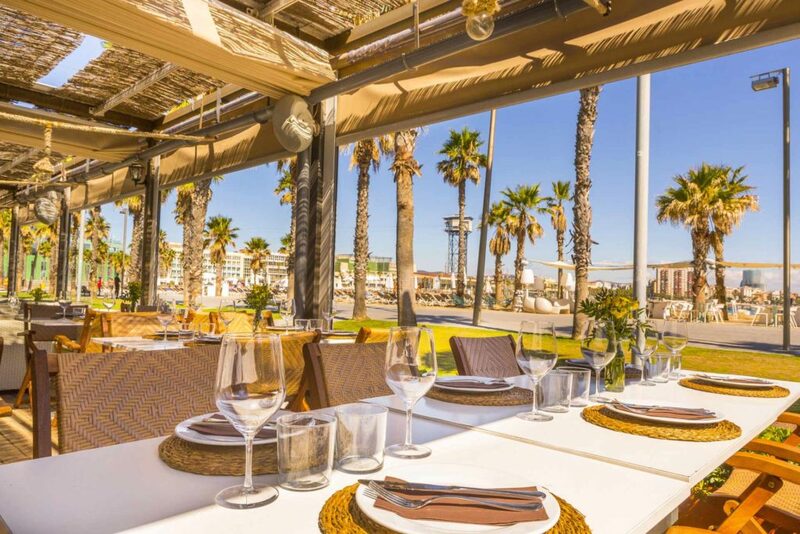 With stunning views over the Mediterranean Ocean, Marea Alta is where to eat in Barcelona if you want to enjoy some city views as you celebrate the festive period. Here the sea view is complimented with delicious grilled fish. With menus for Christmas Day, Boxing Day (Sant Esteve), and New Year’s Eve, this is the perfect place for celebrations. Closed on the evening of December 24, January 1 and 6. 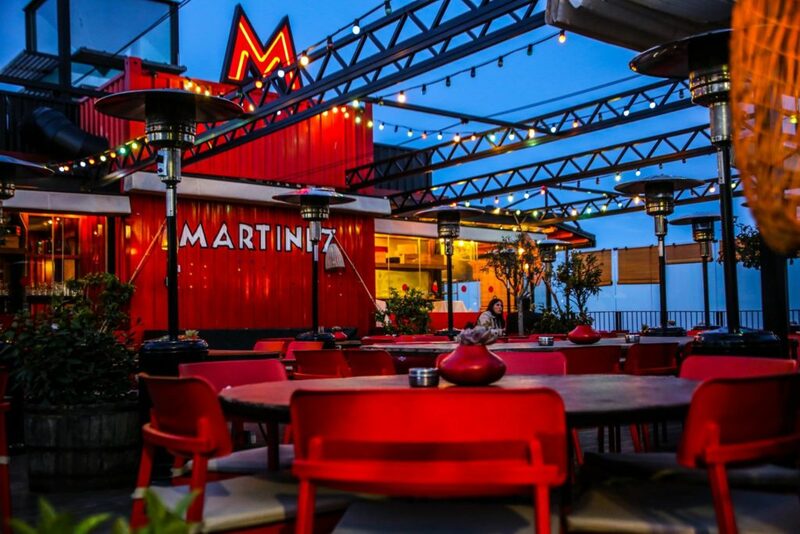 Vibrant and eclectic, mixed with delicious Catalan food and views that will leave you dreamy-eyed, Terraza Martinez is where to eat in Barcelona for an exciting night out. With paella the star of its menu, it makes it the perfect place for big groups celebrating Christmas together with festive lights only adding to seasonal atmosphere. Closed on the evening of December 24 and during the day on December 25. It is open on December 26 and 31 and January 1. Special menu for New Years: €210 including an open bar and party. Children €50. If you’re looking for a truly unique New Year’s Eve experience, Torre de Alta Mar is where to eat in Barcelona. 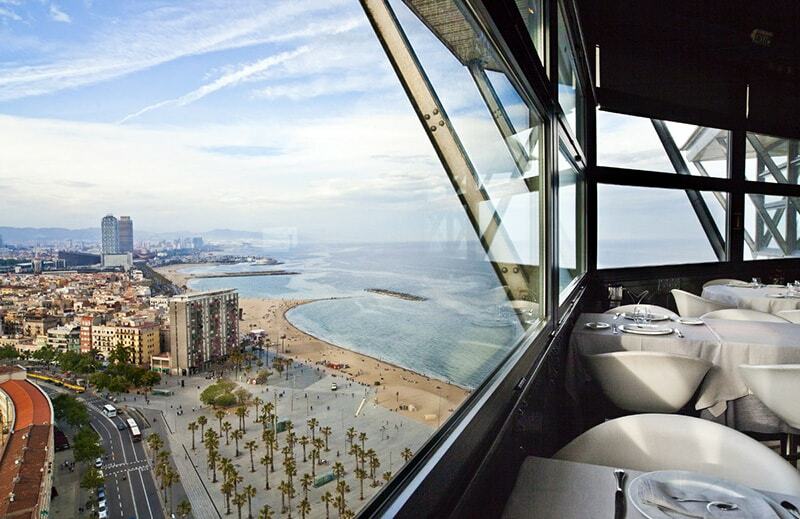 At the top of the tower that sits by Barceloneta beach, you can enjoy your meal along with 360-degree views of the city. On New Year’s Eve, tickets start from €295 per person but include a full menu with copious drinks, as well as a party atmosphere with music and dancing all night long. It is closed on December 24, 25 and 26, as well as from January 1 until 6. 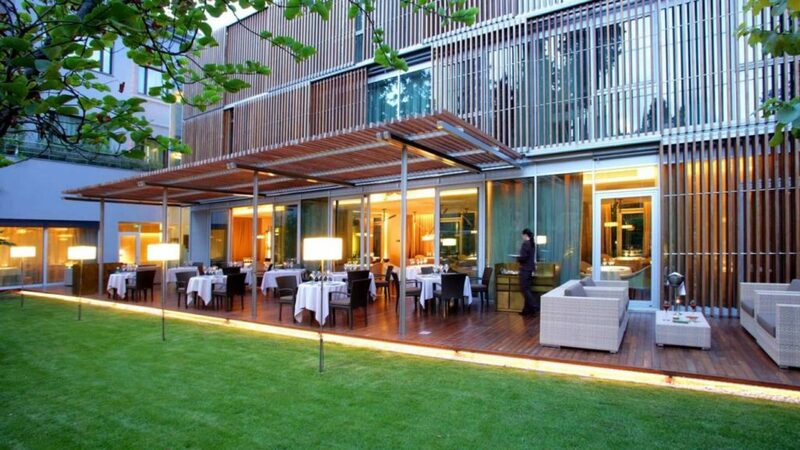 For those foodies who are looking for where to eat in Barcelona over the Christmas period, ABaC is the perfect choice. Headed up by chef Jordi Cruz, the three-star Michelin restaurant offers true luxury with its traditional dishes with an experimental edge and elegant setting up among the hills of Tibidabo. Closed on January 1. Open on December 24, 25, 26 and 31. It is already full for this year. If you are in Barcelona for next years festivities, make sure you book at least two months in advance. With one Michelin star, Xerta Restaurant headed up by chef Fran López is focused on the cuisine of Terres de l’Ebre. This is the perfect spot if you’re looking for a place to celebrate Christmas with that special someone. Opened on December 24, 25, 26 and 31 and January 1. During those days they offer a Christmas menu for €85, except on New Year’s Eve, when they offer a special menu for €180. So, if you’re looking for where to eat in Barcelona over the Christmas period, why not try one of the above options. Whether you want a lively party atmosphere by the sea or fine-dining in the trendiest neighborhoods of Barcelona, there is something for everyone who is visiting Barcelona at this magical time of the year.